Santa Cruz is known for many things: its counterculture, boardwalk, surfers, and banana slugs; the fog, mountains, and ocean; and, of course, the academic institution nestled in a picturesque environment. 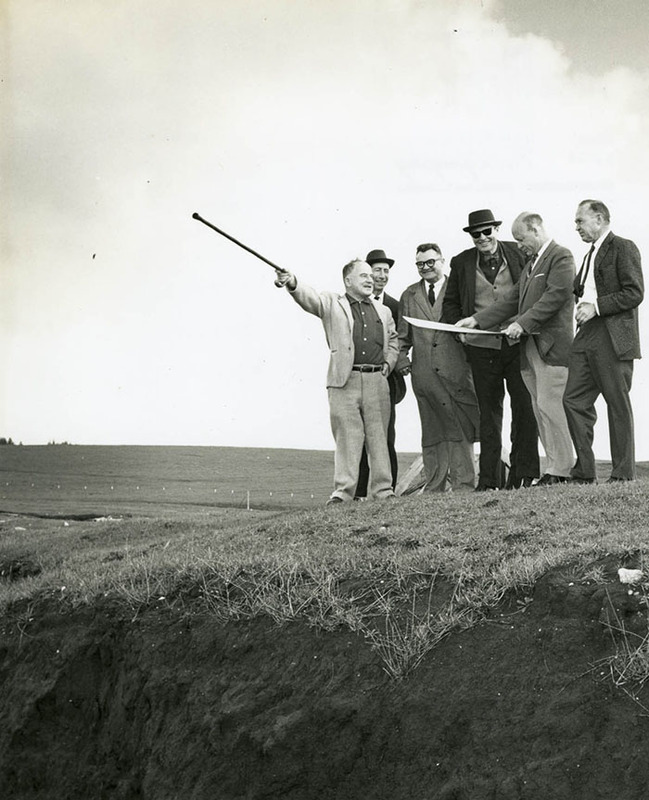 2014 will mark the 50th anniversary of the groundbreaking for the University of California, Santa Cruz (UCSC) campus. The story of how the campus was created is one of collaboration and admiration for the natural landscape. Bernardi, Anshen, Kump, Warnecke, McHenry and Church at the Cowell Ranch site, c. 1961. 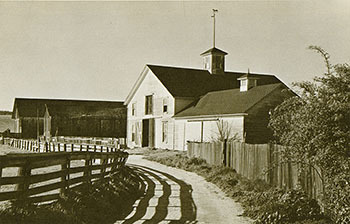 Their long-range development plan was presented to the Regents in September 1963, and construction began on Cowell College, the humanities college on campus, in October of 1965. The campus was designed to grow slowly with a series of small liberal arts colleges on the UCSC site, adding one almost every year from 1965 until 20 colleges had been built. McHenry and Clark Kerr, president of the University of California, wanted the campus to be constructed in a manner similar to Oxford or Cambridge, with each college being a self-contained unit with its own dormitories, classrooms, and dining hall, a student center, library, and faculty offices. This design was favored, as a way of trying to meet individual students’ needs for identity and belonging within a group. 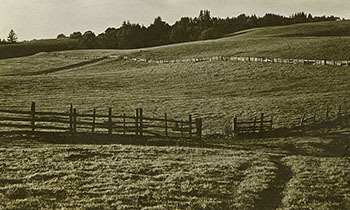 The original vision for UCSC continues to be maintained at the campus fifty years later. The foresight of the original design team continues to ensure the lasting beauty of the campus as it continues to expand. Gregory, Daniel. “U.C. 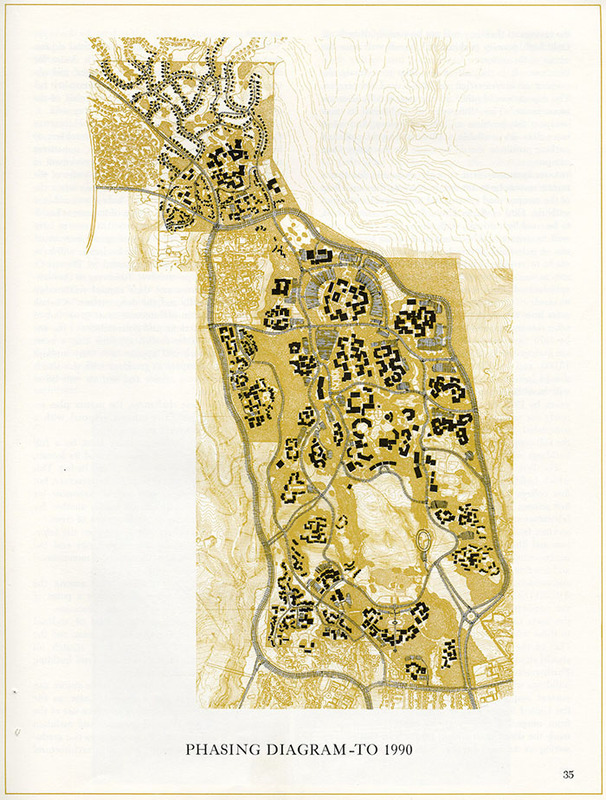 Santa Cruz: Site and Planning.” AIA Journal. August 1979. Print. p. 34. Long Range Development Plan, University of California, Santa Cruz, September 1963.